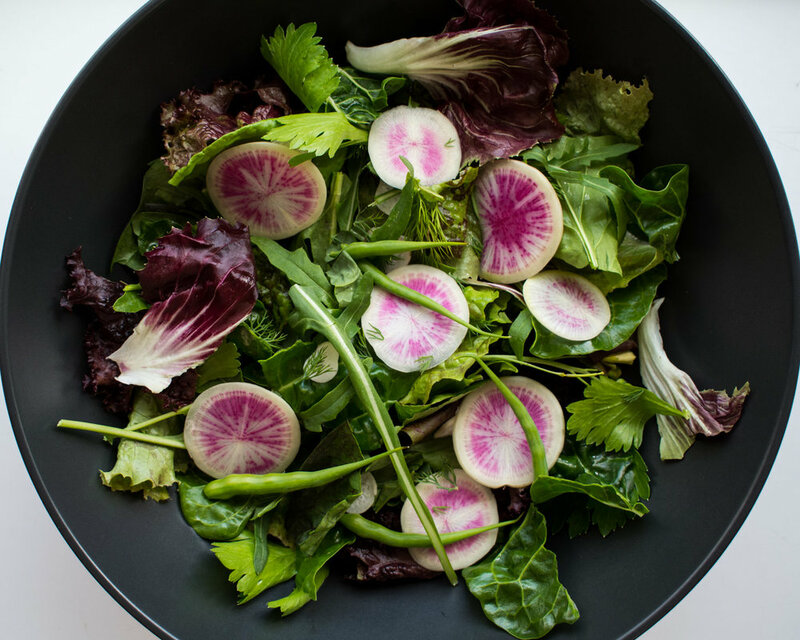 A mixed green salad with herbs, radishes and radish pods. It is topped with the Best Dressing Ever Dressing, made with handfuls of garden fresh herbs, yoghurt and fresh lemon juice. 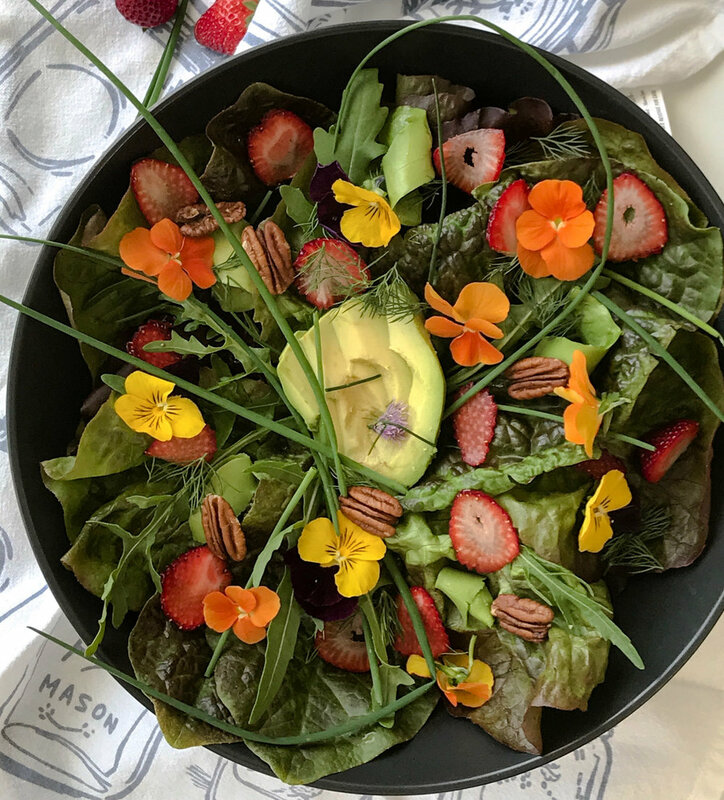 A fresh salad made from spring garden ingredients and topped with a lemon herb vinaigrette.